To view race results, schedule and heats for November 28, click here. 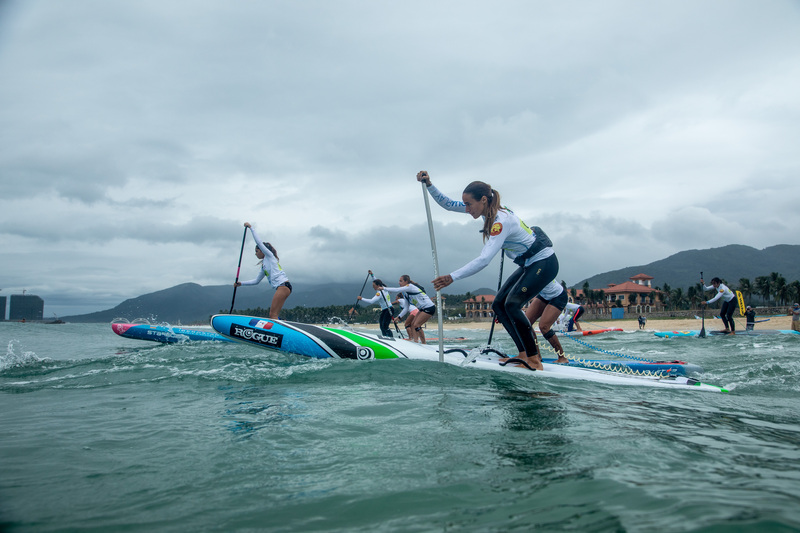 The SUP Technical races sparked an action-packed fifth day of competition at the 2018 ISA World SUP and Paddleboard Championship at Riyue Bay in Wanning, China. The Men’s and Women’s Semifinals ran to qualify athletes for the Finals to take place on Wednesday, set to award the first racing medals of the event. 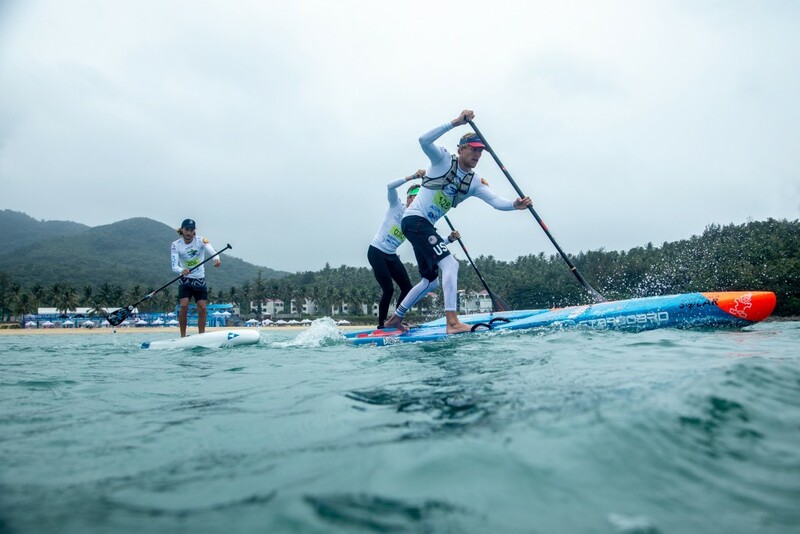 Two qualification slots for the 2019 Pan Am Games in Lima are up for grabs for the top finishing man and woman from the Americas in the SUP Technical Race Finals. Three ISA SUP Gold Medalists, USA’s Connor Baxter, Denmark’s Casper Steinfath, and France’s Tituoan Puyo, took the top qualification spots in the Men’s Semifinals. “The course was really fun,” said Baxter. “We got downwinds, upwinds, a surf break, and a beach run. It’s really technical. “The competition has gone up and up every year. 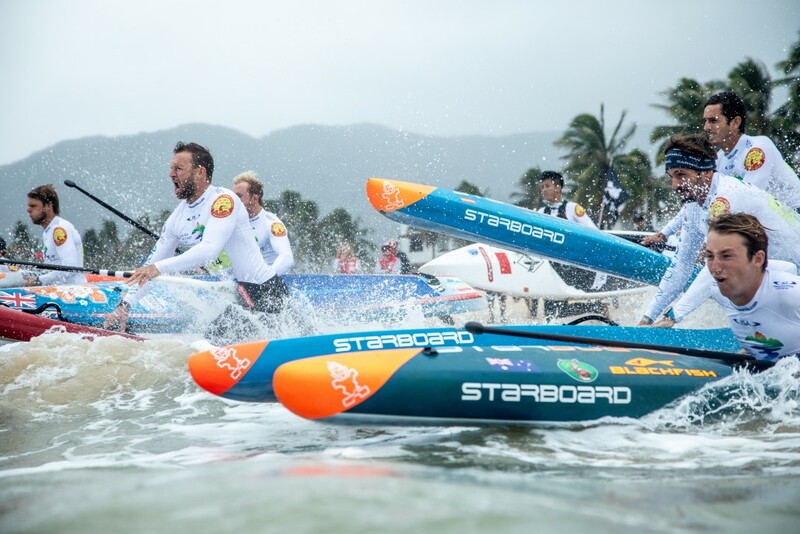 All the nations are getting more serious about SUP and training their teams, so the Finals tomorrow will be packed with talent. Steinfath’s time of 32:19 was the fastest of the day, giving him a strong push heading into finals Day. USA’s Candice Appleby, the 2015 ISA Technical Race Gold Medalist, finished the day with the fastest heat time for the women with 36:51. 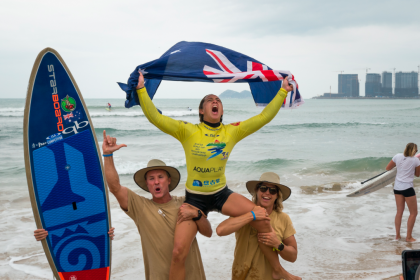 Australia’s Shakira Westdorp, who won an unprecedented third consecutive SUP Surfing Gold Medal on Monday, won the second Women’s Semifinal and Japan’s Yuka Sato won the third Semifinal. Great Britain’s Marie Buchanan put on a gutsy performance after stepping on an urchin during the SUP Surfing rounds. 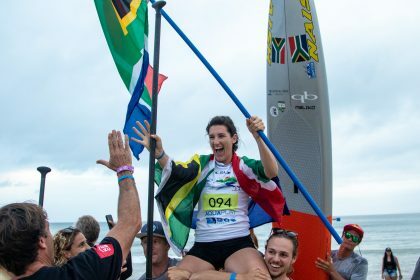 Despite her injury, Buchanan managed to finish fifth in her SUP Technical Race Semifinal to qualify directly to the Final. “I’ve been hobbling around after stepping on an urchin,” said Buchanan. “The adrenaline definitely got me through. I was determined to qualify and not have to compete twice in the Repechage Round. The top five finishers from each of the three Semifinals qualified for the Finals on Wednesday, with the rest of the field competing in a Repechage heat that would qualify an additional five athletes for the Final. 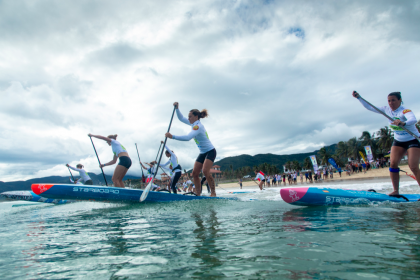 A grand total of 20 competitors will be competing in the SUP Technical Race Finals. Notably, Team Iran and China made their first SUP Racing appearances in the history of the event today in the Women’s and Men’s SUP Technical Race. 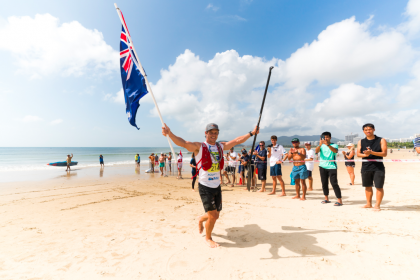 None of the Chinese and Iranian athletes qualified for finals day, however their participation marks a watershed moment for the growth and development of SUP in Asia. 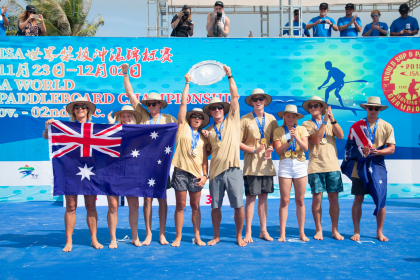 “After crowning SUP Surfing World Champions yesterday, we went straight into the exciting SUP Technical Races here in China. 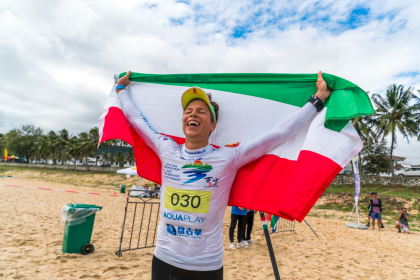 “The Technical Races have attracted the top talent from all continents of the globe, looking to put a Gold Medal around their neck.